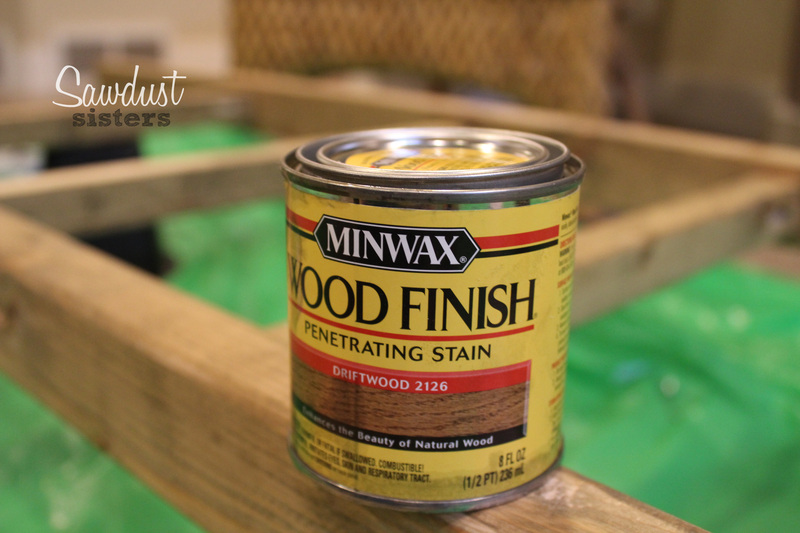 Today I am sharing my My DIY Floating Desk with Storage, a project that’s been on my to-do list for quite a while! ! And I am so happy with how this turned out, but I did have a few hiccups that I will be telling you about and hopefully when you build this, things will go smoother! Here is the finished desk. My favorite part are the corbels. 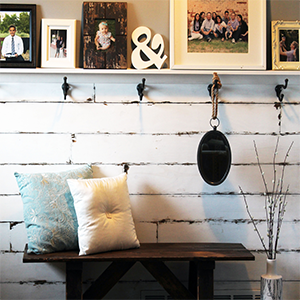 You can buy corbels online but they are pricey. So, I decided to cut my own with a jigsaw. 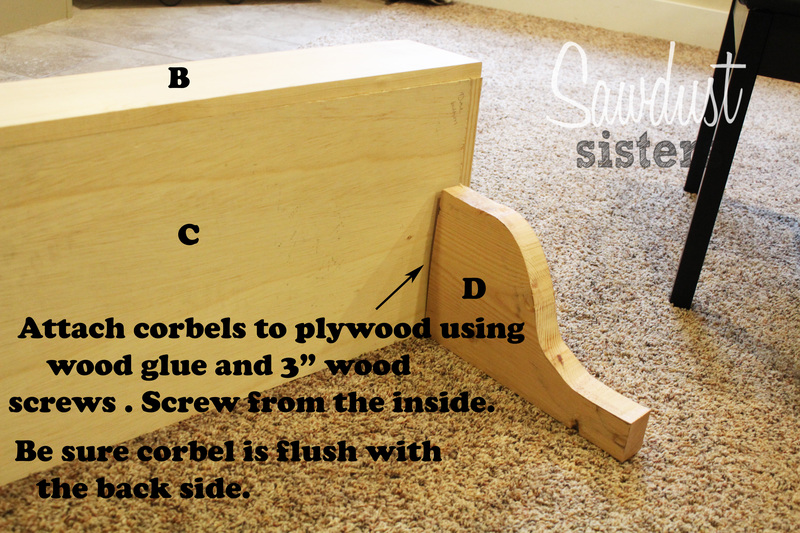 Sign up for the newsletter to access free stuff, like the corbel template! 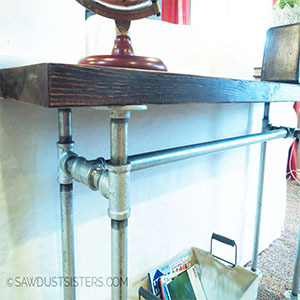 The objective was for her to use this desk as a vanity too, so I drilled a hole underneath (for cords) so that she could keep her blow drier and curling iron inside, and hopefully keep some of the clutter off the bathroom vanity! (A mom can only hope!) So I had an old mirror cut to size and I glued it to the back of the lid. Be sure and read the entire tutorial before you get started! I used the free plans available from this website here to build this desk. But, I will warn you, the plans have a few errors on the cut list (another hiccup). I found out the hard way after I’d made a few cuts and things looked waaaay different. I’d recommend you use the cut list I put together below and head over to use their plans if you want fancy images :). *This post contains some affiliate links for your convenience. Click here to read the full disclosure. 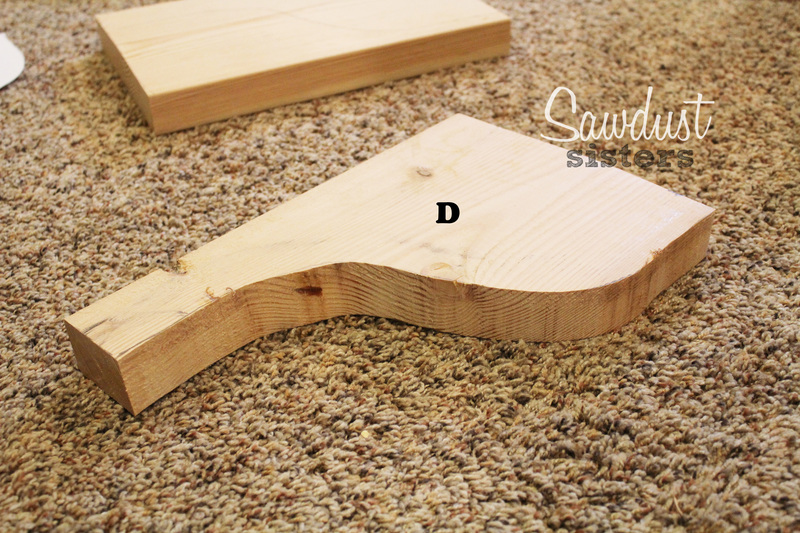 D (2) Corbels cut from a 2” x 12” Here is the corbel template you can use to cut these. 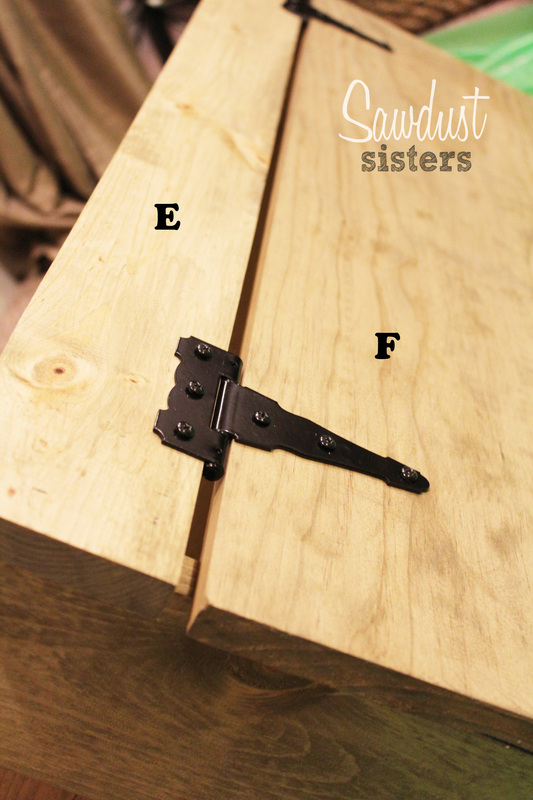 Attach the bottom piece in the same manner. Notice the placement of the pocket holes. 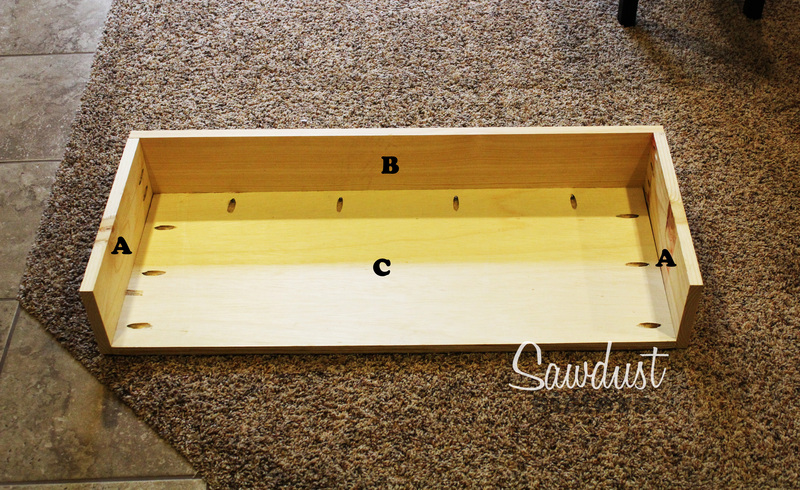 You can drill a hole on the bottom at this point if you plan to use this as a vanity. I did it later on and found it to be more difficult. I used a 2×10 for the corbels. Rather than buy corbels that are pricey, I used this corbel template I created, traced it on the 2×10 and cut around it with my jigsaw. 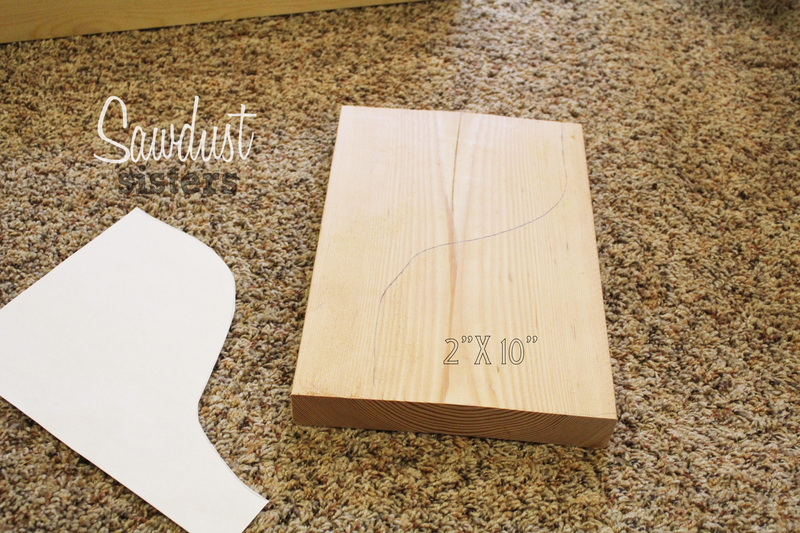 Once the first corbel was made, I used IT to trace the second one to make sure they were exactly the same. Make sure you are patient and go really slow with the jigsaw. I sanded the rough edges a bit after cutting. 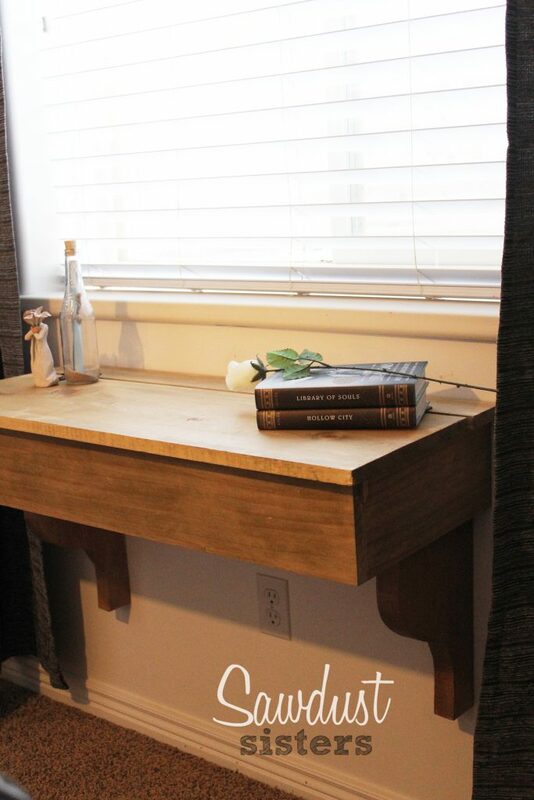 I attached the corbels to the bottom of the desk just a bit off the edge but flush with the back side. I used 3″ wood screws and glue. There are 2 pieces to the lid. The smaller piece is attached first and it is fixed. 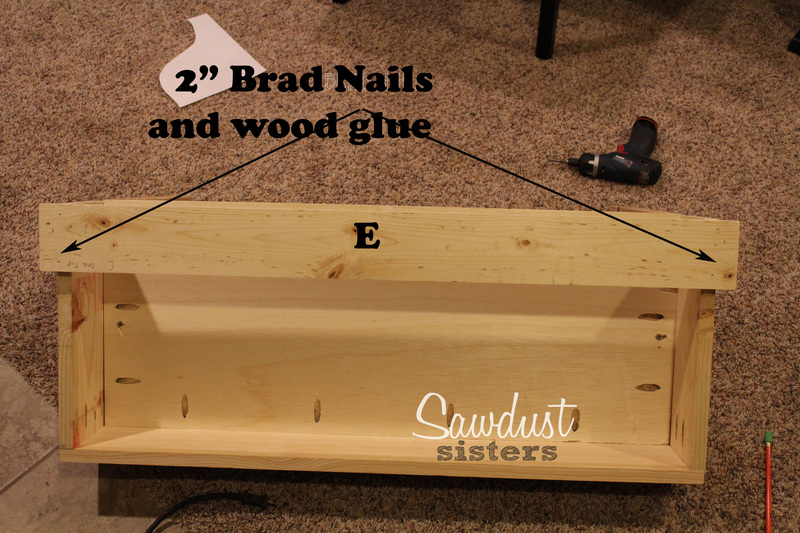 Attach using 2″ brad nails and glue. Nail from the top, flush with the back. At this point, I lightly sanded the piece and stained it. I used this stain which was leftover from my blanket ladder project. 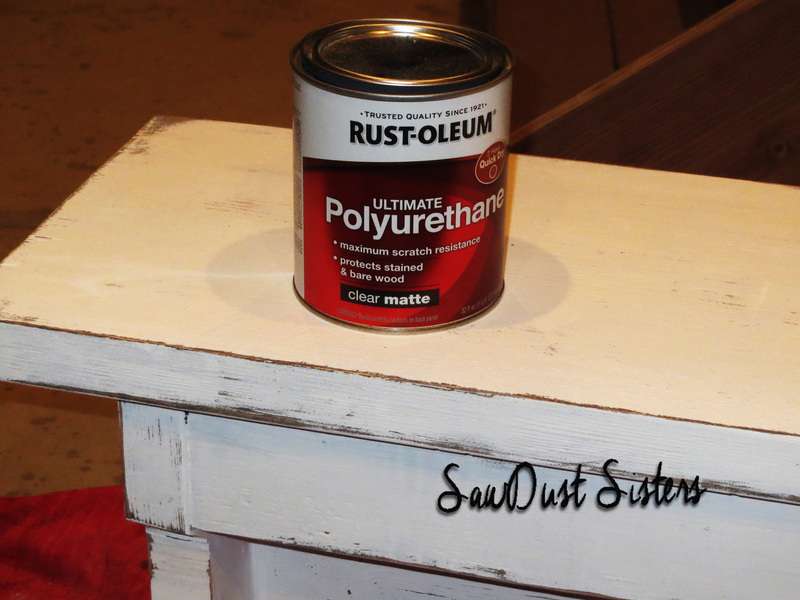 Once the stain was dry, I gave the entire thing a coat of polyurethane. Finally, I used these awesome T Hinges to attach the flap lid. You will attach this beauty to the wall by building a frame to slide it on to. 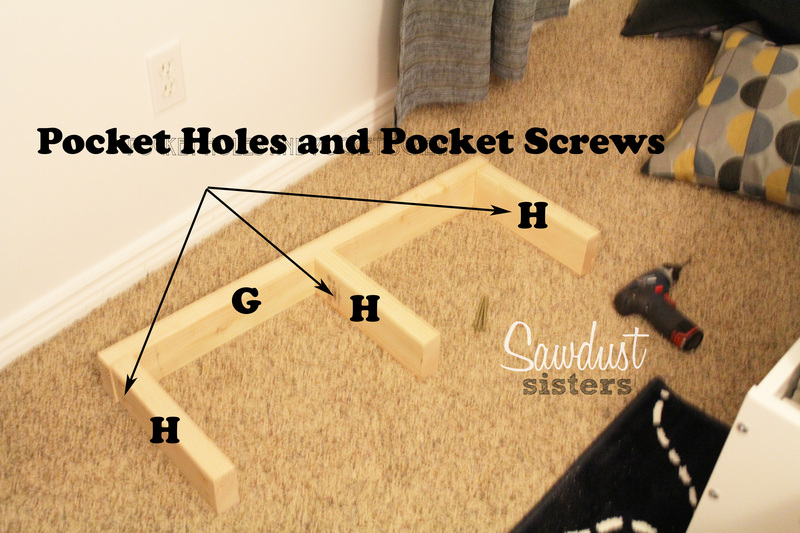 The frame is made from 2x4s and put together with pocket holes and pocket screws. 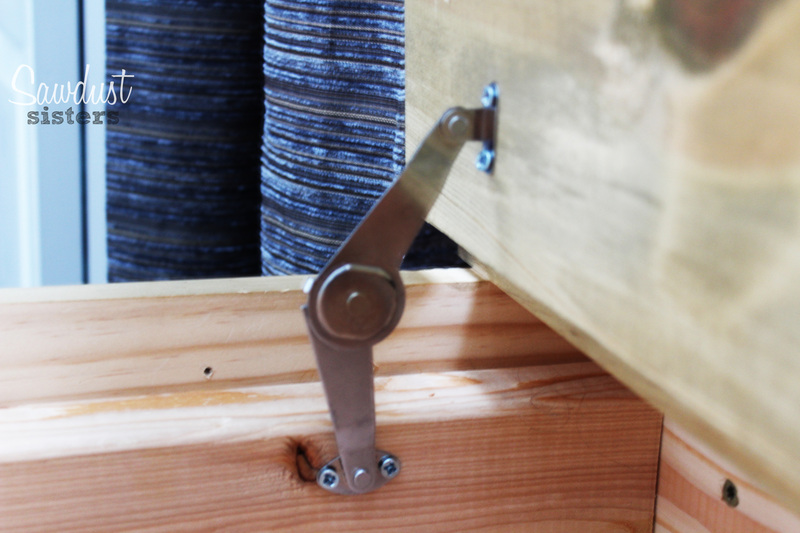 Make sure you measure the inside of the desk really well, so that it will fit snug. I had to do this twice (another hiccup) to have a good fit, the first frame I built was a wee bit small. 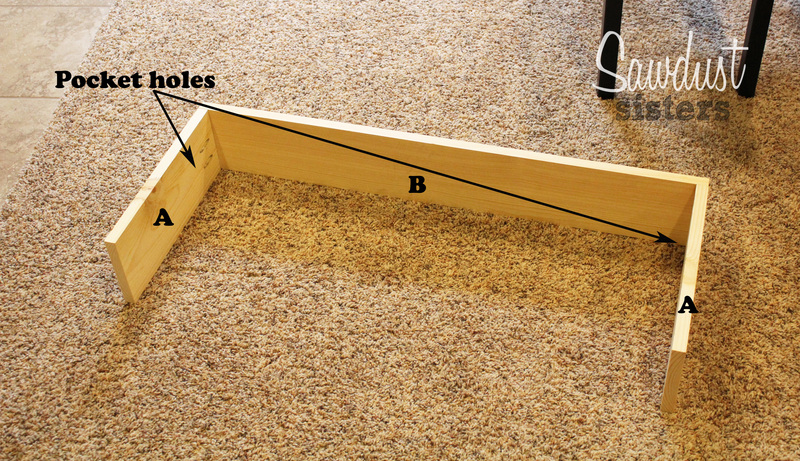 The long 2×4 piece should measure exactly the width of the inside of your desk. Mine was 33″, but be sure and measure yours to get a precise cut. Now your desk is ready to slide onto the frame. 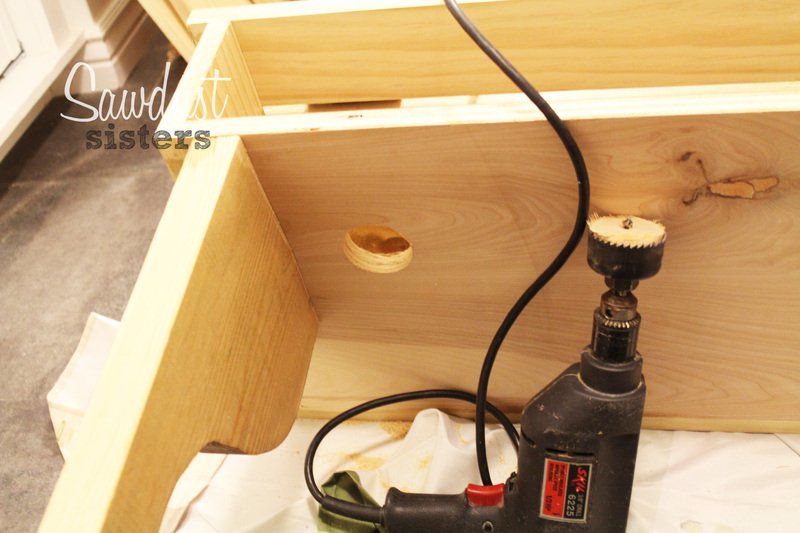 Once it’s in, push the desk up from the bottom and drill 3″ wood screws into the 2×4 frame from the bottom to secure it. I had to get my hubby’s help here. Once it’s all secure, you are ready to attach the Soft Close Hinges These are optional but I highly recommend them if you don’t want the lid to be a hazard to your fingers. It helps the lid stay open. And you are done my friend!! 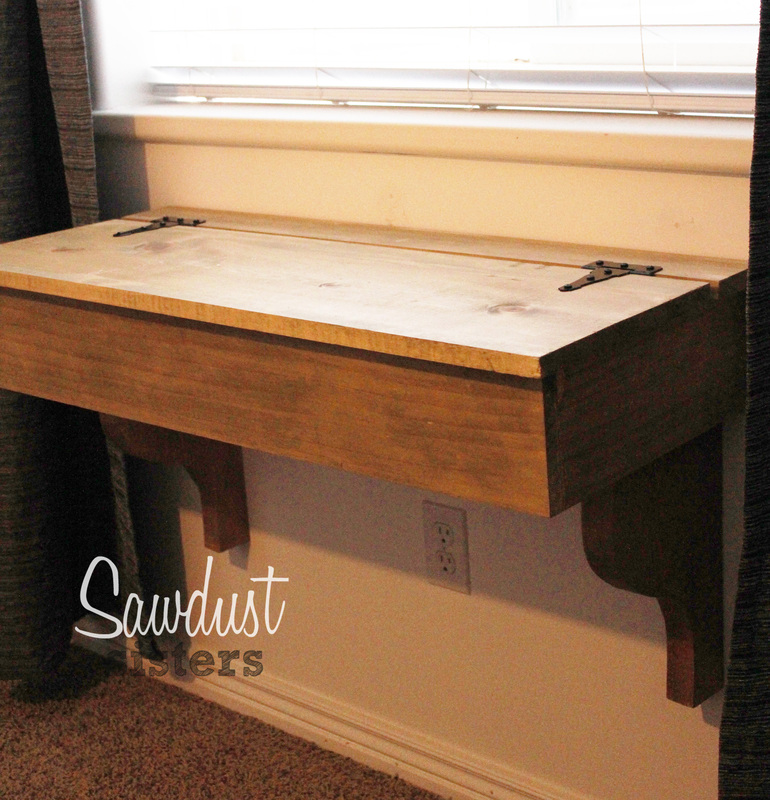 Here are some pictures of the finished desk. I hope you like it and get brave enough to build one. It’s really not that hard! This desk cost about $50 in lumber and hardware. Not bad, huh? 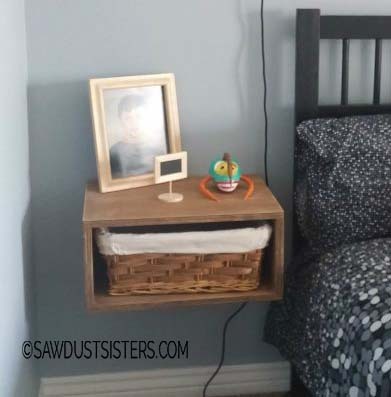 Oh my gosh, I so want to make one of these for my son’s new bedroom! Thank you! Given he needs a bit bigger desk, though, I’m thinking of making the corbels with “arms” that help support more depth and then on the back portion/box, making it with some sort of flip lid as well (not sure if this is doable, but I’m going to investigate) so I can place in the back a 6-way, then drill holes or slots in the lid for his computer/phone/iPad cables. Saving this!!! Awesome plan! Thank you so much, Sheila! I love your idea of a charging station. I’d love to see it after you make it!! I love this and am going to have my husband make one. 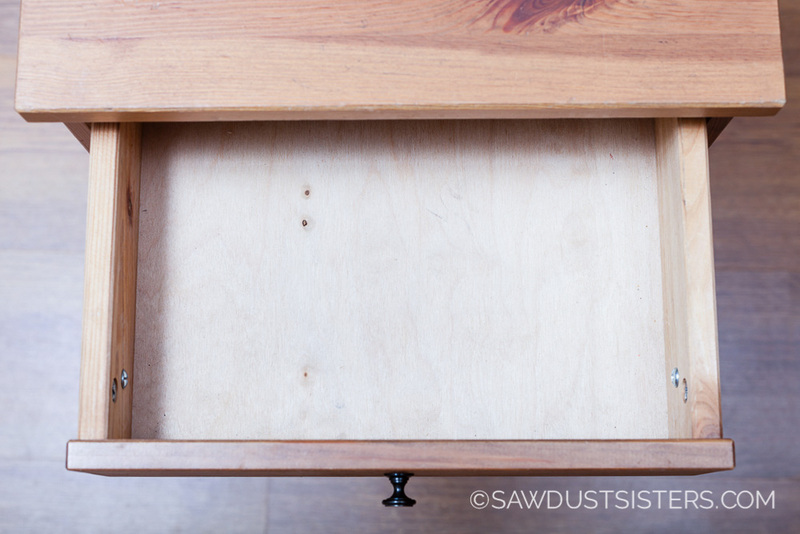 As far as the mirror, try screwing a strip of wood on either side of the desk. Then slide the mirror in. 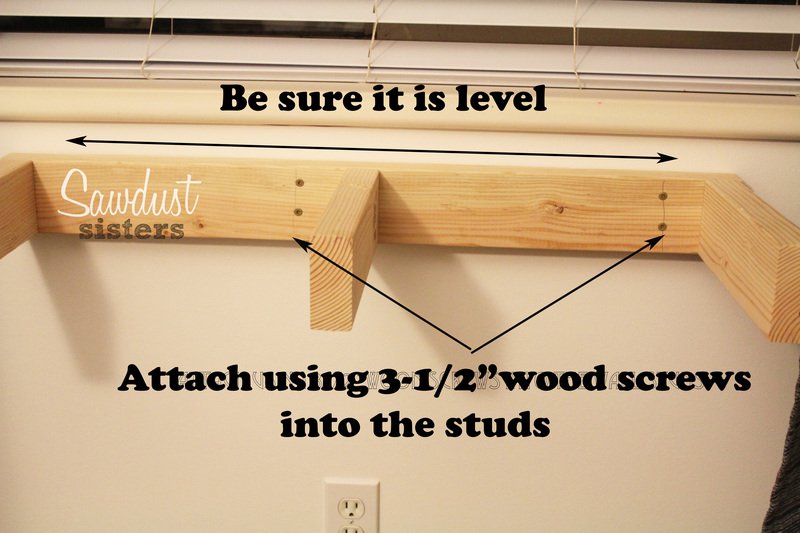 You can put little pieces of wood above and below (like on the back of a picture frame) to hold it in place. 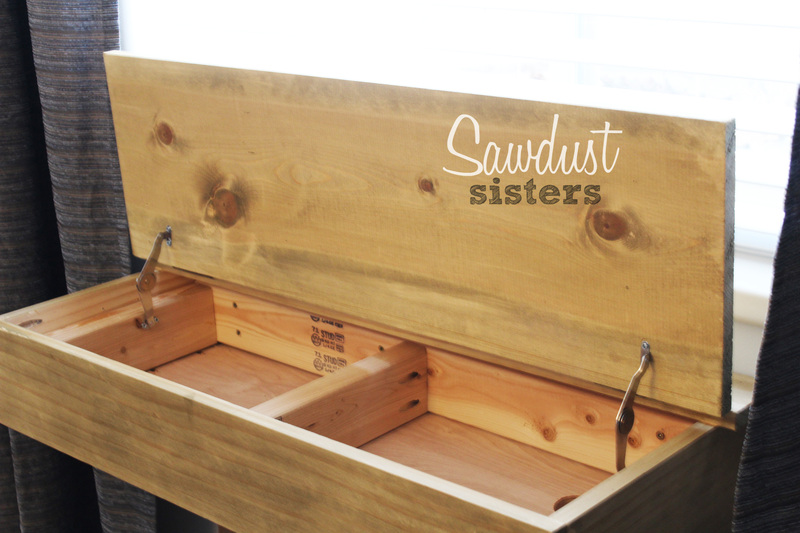 I will be using my desk to store mail and keys and the dogs halter and leash under a mantle my husband built for me. I hope my idea works for you. 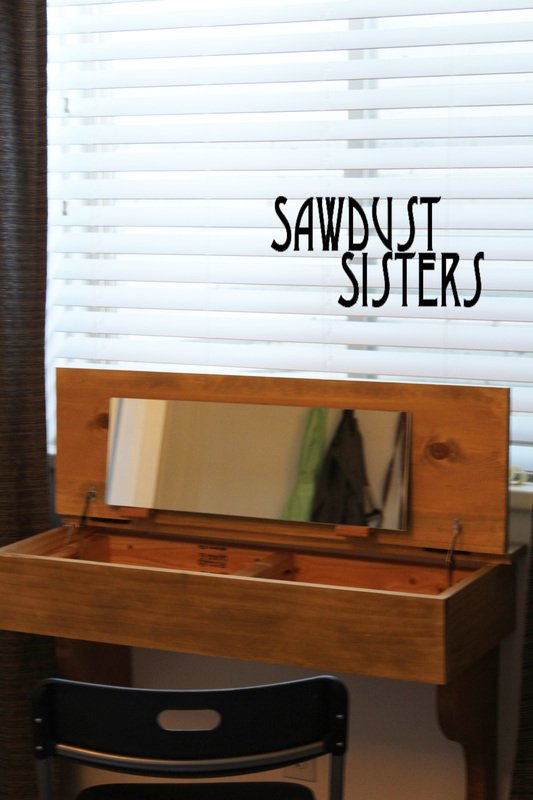 Thanks sawdust sisters! What a great idea! Thank you!!! that’s great, i love the shape. really looks like a piece of older furniture. 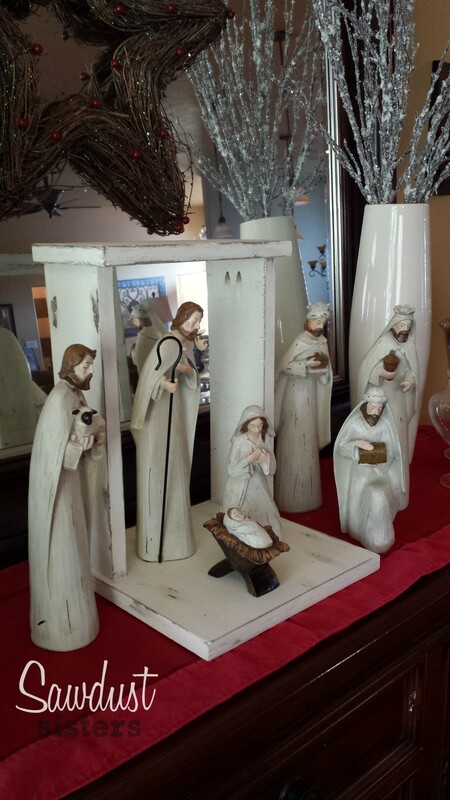 I’d love to put one of these in our guest room and my granddaughters room. This is an fantastic project and thanks for sharing it at Celebrate Your Story. You are a #CoolMom! Haha! My pleasure Sandra! Thanks for stopping by! Thank you so much Stefani! I’m so glad you like it! I can see why your daughter would be thrilled with this. 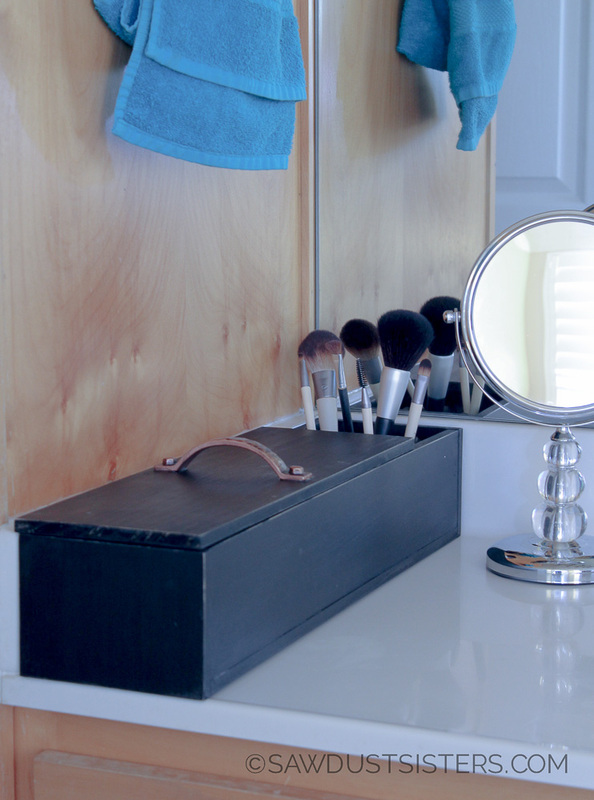 A desk, a makeup vanity and a place to store those ugly hair tools!! This is awesome!! Great job! This is so cute. I can’t imagine trying to put it together but you know patience is a learned behvior and I think I might like to try a few wood projects. 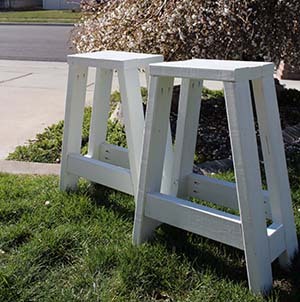 This is just so prety and would be perfect in a tween farmgirl/city kind of room. Love it. Thanks Pam! Yes this would be perfect in a tween’s room! Such a great desk! 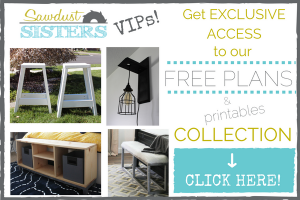 Thanks for sharing at the Wednesday Showcase link party. Another amazing project and one I have never seen before! 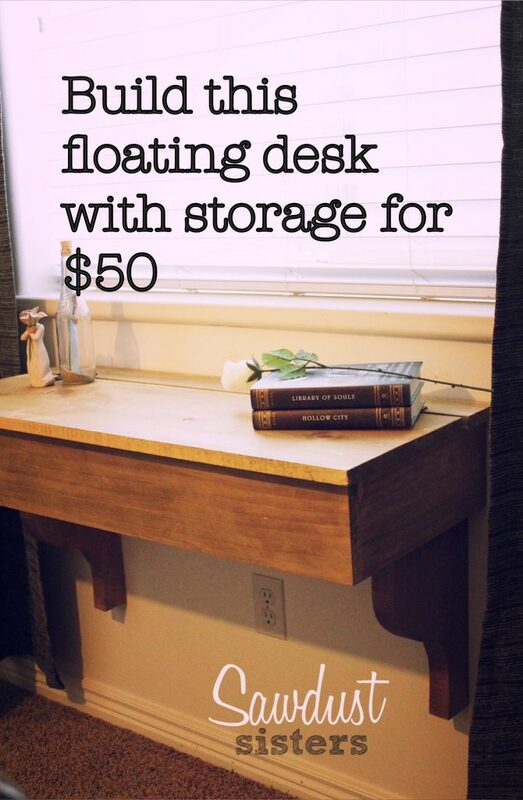 I love that you can use it as a vanity or a desk and the thoughtfulness of a hole for cords. Great pics and guidance too. Oh wow! What an amazing desk! Love it! 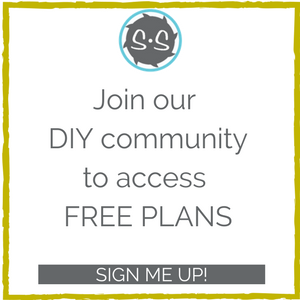 Thanks so much for sharing at the DIY Crush Craft Party on Thursday!! 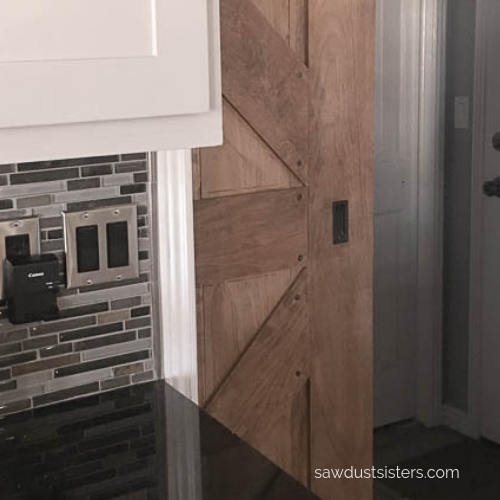 Hope to see your next projects this week! 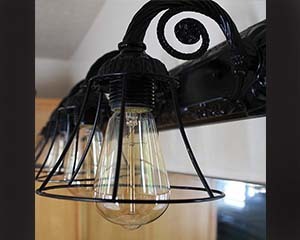 I love this, but do you think it would be possible to make it a bit longer and add an extra (stronger, reinforced metal) support in the middle on a stud? I need a bit more room, but I love the look and practicality of this SO MUCH. PS: Do you think we could just use heavy duty shelf supports instead of corbels for the entire project? Thanks!!! It’s beautiful!